The Freek van der Velden Company (or Nursery) is a family company from Delfgauw that has been in business for almost a century. Freek and his son Martin cultivate high-quality potted Gerbera, Helleborus and Garvinea at two sites. Freek: “The quality of our product has always been our main principle, and that’s why we grow our plants at a slower tempo and space them out more. This is beneficial for the quality of all of our plants. We continuously provide new varieties in our range as well, but we only take species that score well during the flower trials. Martin: “In addition to cultivating quality, the environment is becoming an increasingly important part of our company. We want to burden the environment as little as possible, reuse our water, separate our waste and generate our own energy. In terms of crop protection, we use organic methods, and the latest important development is that we no longer use bee-unfriendly agents. 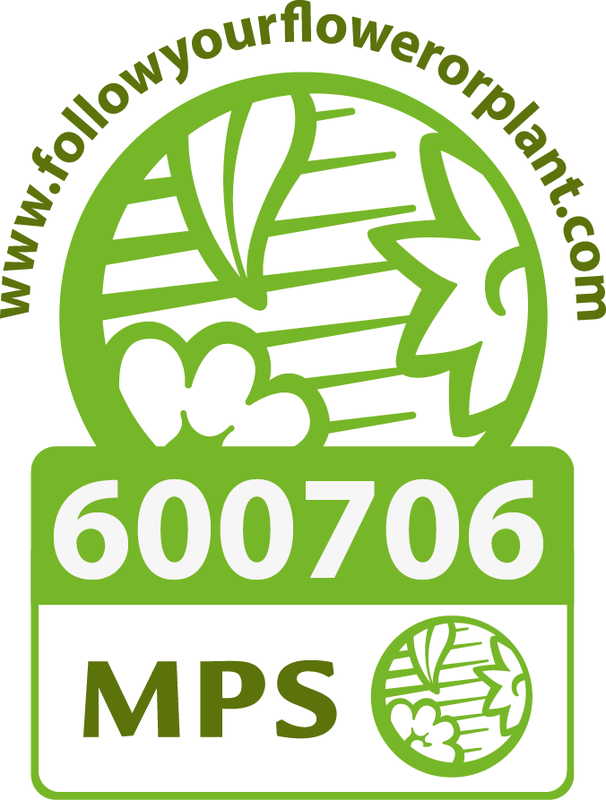 We hold the following certificates: Productproof, MPS-A, MPS-GAP, MPS-SQ, MPS-FLORIMARK PRODUCTION, MPS-QUALITY, MPS-GLOBAL GAP.